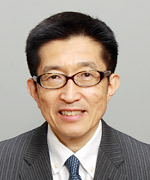 Congress President: Hirotaka Haro M.D., Ph.D. I am deeply grateful to the many predecessors who have built and developed the Japanese Society for Spine Surgery and Related Research (JSSR), as well as all the current officers and members of the JSSR, who have given the Department of Orthopaedic Surgery of the University of Yamanashi the honor of organizing its Annual Meeting. The meeting will be held at PACIFICO Yokohama from April 18–20, 2019. The theme of the 48th Annual Meeting is “Practice your knowledge and technique in daily clinical service” (jijō maren). This phrase is taken from the Ch’uan-hsi Lu (“Record of Instructions”) recording the thought of Wang Yang-Ming. He taught that it was insufficient to discipline oneself by sitting in meditation and calming one’s own heart; rather, it was important to seek the way to cultivate one’s talents by working in society. For us as doctors, too, it is not enough to sit at our desks voraciously reading medical textbooks to acquire greater knowledge; it is important to cultivate our skills in medical science and treatment by caring for actual patients. In this process, if diagnoses or treatment methods are inadequate, we must go back to basic research to ascertain the truth, then carry this back into clinical practice to bring its benefits to patients. Our subtheme is “Ask what you can do for spinal disorders.” Rather than simply employing tests and therapeutic methods discovered by other doctors or researchers, a spirit of cultivating our own skills to contribute to the development of spinal and spinal cord medicine by discovering or devising our own medical techniques is essential. A mountain of difficult problems in spinal and spinal cord medicine remain to be tackled, and I hope we can go on to solve them in this spirit. The meeting will include two Special Lectures and one Cultural Lecture, as well as invited lectures by up-and-coming young doctors from overseas. Symposia and topics are also planned. We have selected 14 topics covering a wide variety of different fields. Spring in Yokohama is the ideal season in which to enjoy the port with its fresh sea breeze. The venue is close to Minato Mirai, Yamashita Park, and Chinatown, and is easily reached from Tokyo, which will host the Olympics the following year. The meeting will also have a strong Yamanashi flavor. It will be something to look forward to. We are looking forward to a large number of abstract submissions. The submission period will run from August 29 to October 17, 2018, with no possibility of extension. I look forward to your support for this Annual Meeting, and anticipate that it will be a great success.